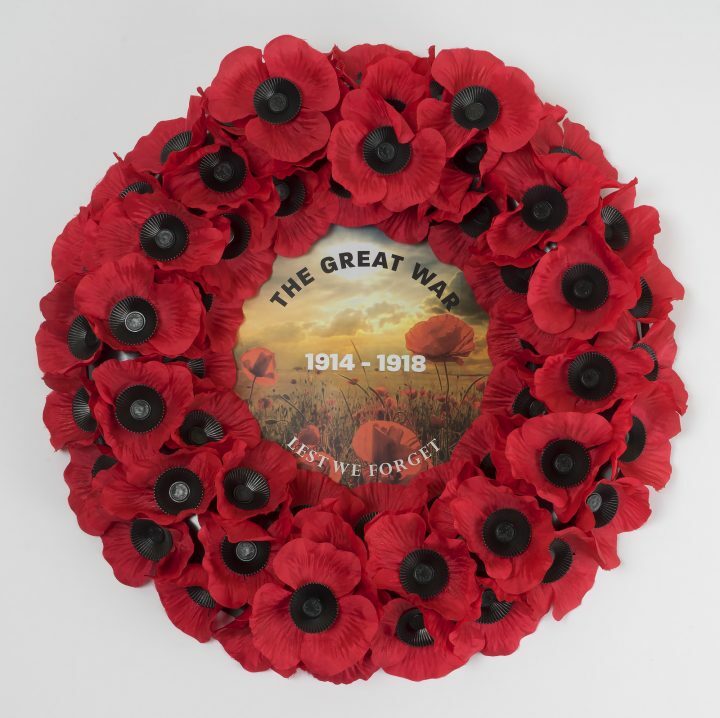 Great War commemorative wreath 2016. 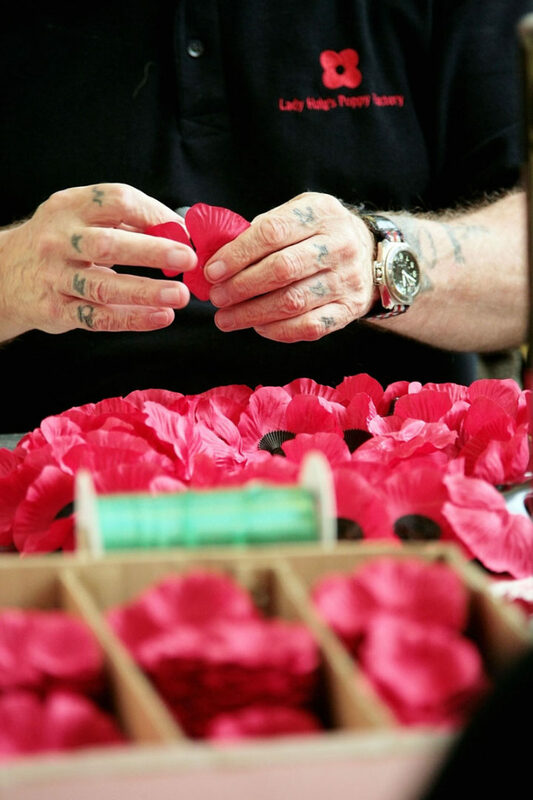 Image of Lady Haig’s Poppy Factory shop 1934. 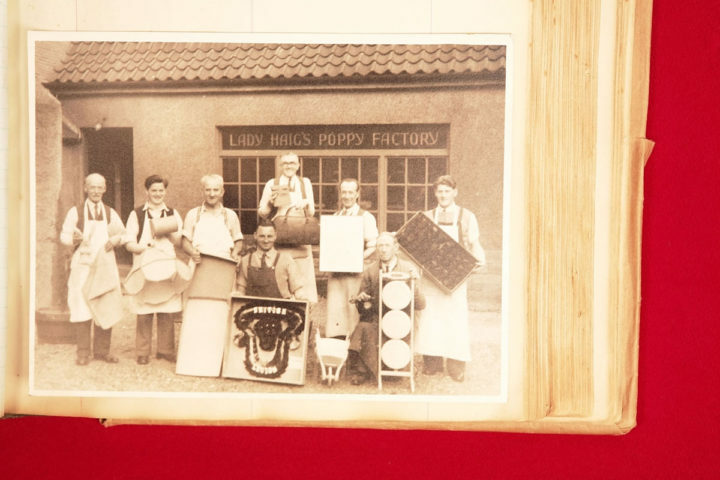 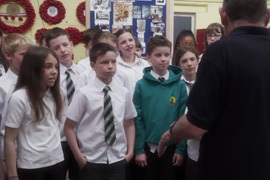 Image from Lady Haig’s Poppy Factory – featuring Lady Haig and friends. 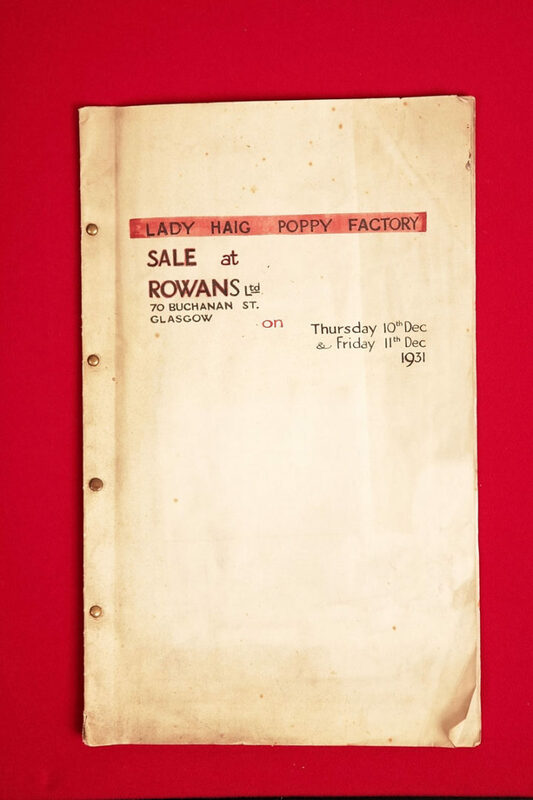 Handwritten catalogue from sale for Lady Haig’s Poppy Factory held in Glasgow 1931. 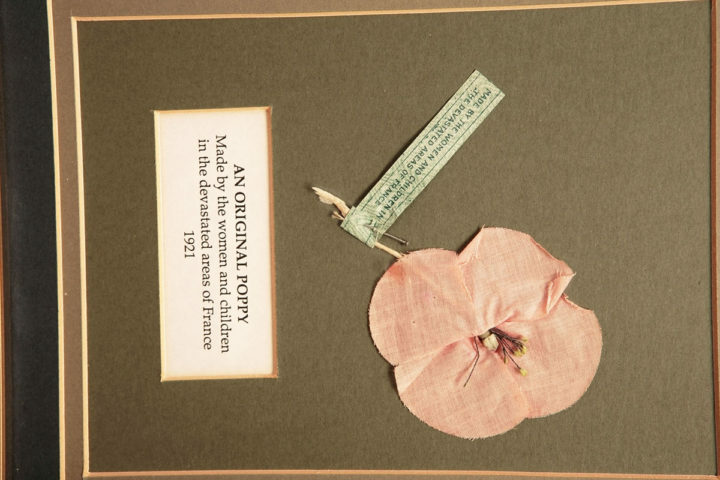 Example of product made by Lady Haig’s Poppy Factory c.1930. 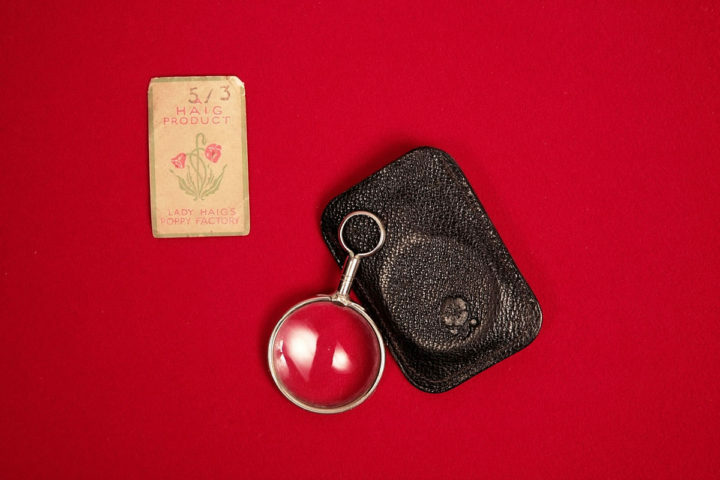 Magnifying glass made by Lady Haig’s Poppy Factory c.1930. 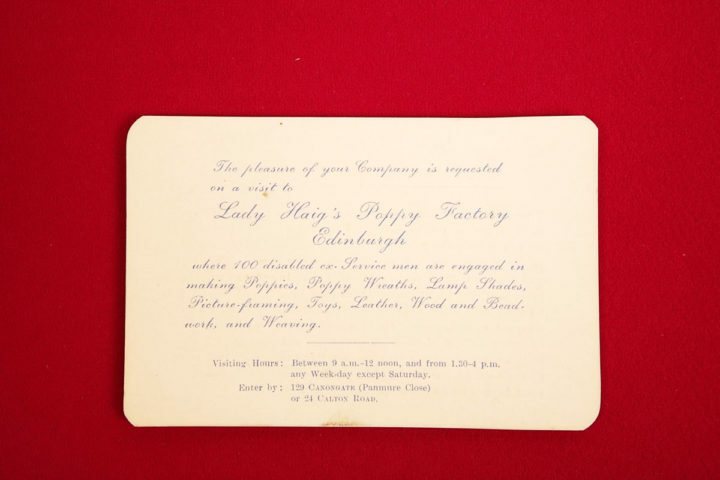 Invitation to visit Lady Haig’s Poppy Factory c.1930. 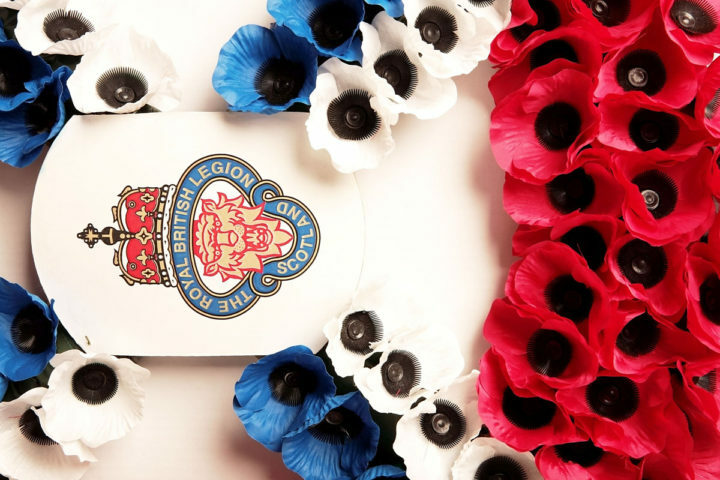 Invitation to attend visit of Lady Haig’s Poppy Factory c.1930. 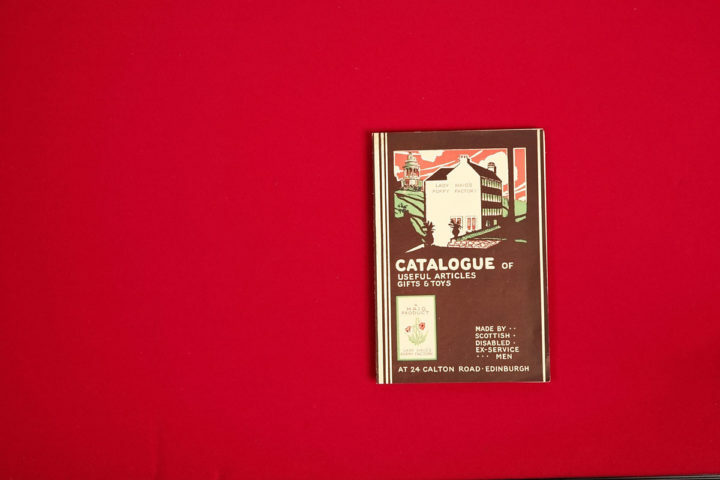 Lady Haig’s Poppy Factory catalogue c.1930 – front cover. 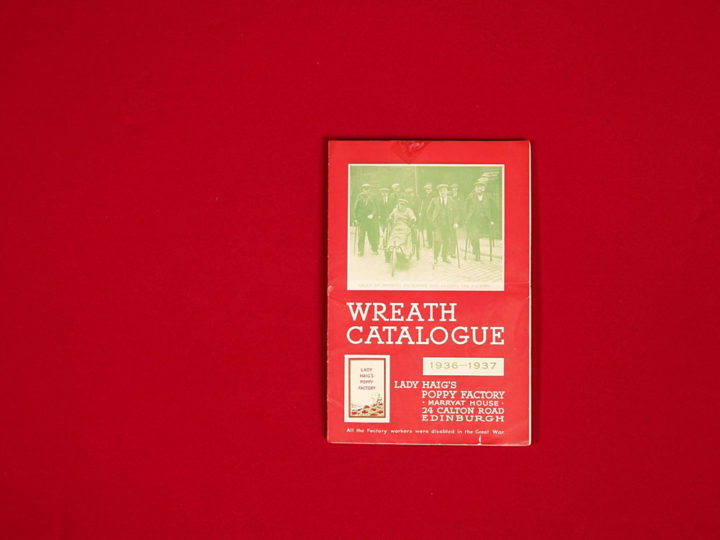 Lady Haig’s Poppy Factory catalogue of useful articles, gifts and toys c.1930 – front cover. 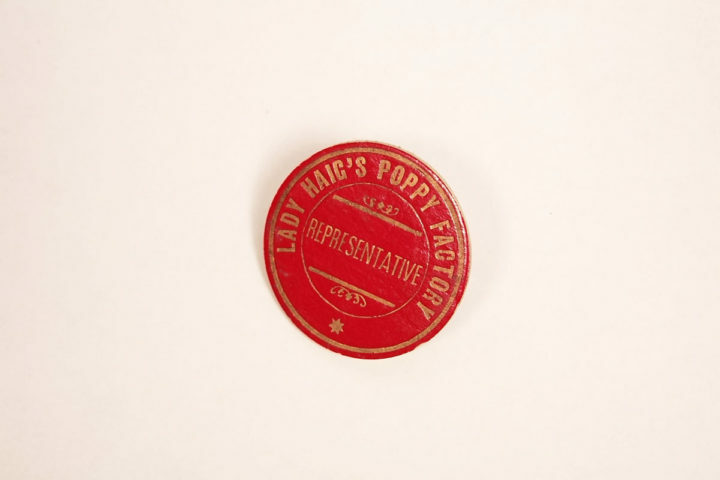 Lady Haig’s Poppy Factory Sales representative badge. 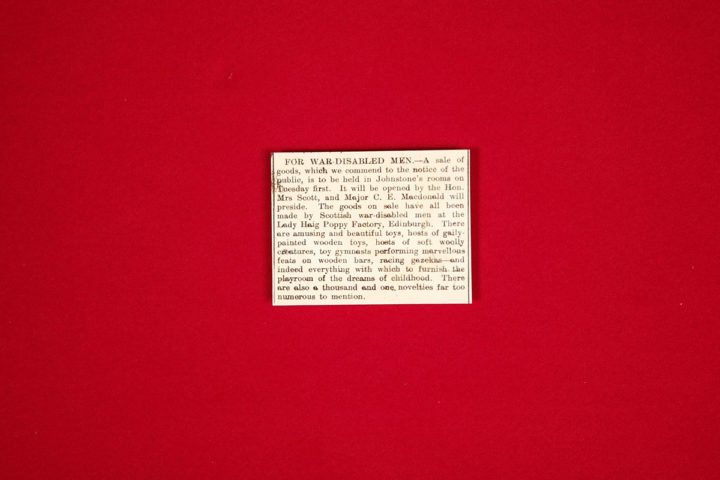 Lady Haig’s Poppy Factory Sales representative badge c.1935. 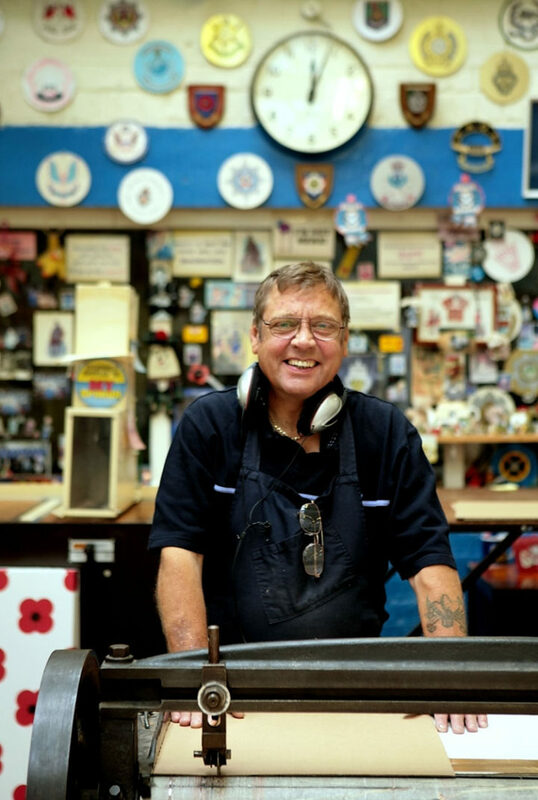 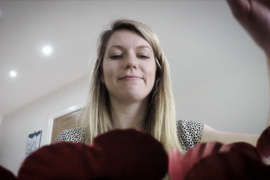 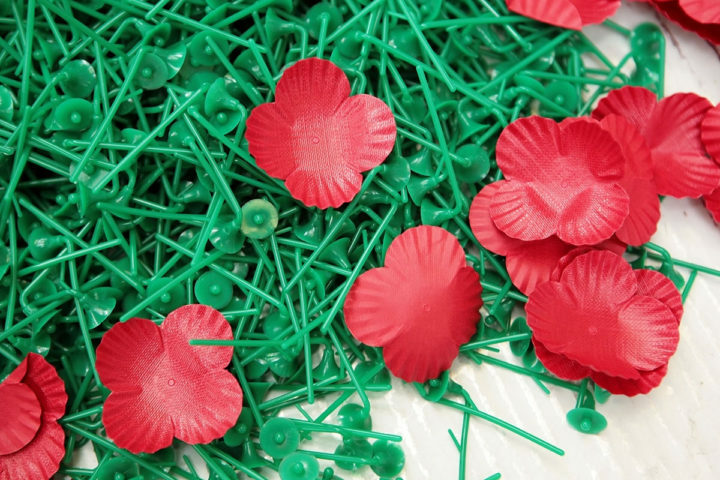 Making a poppy, the poppy in pieces. 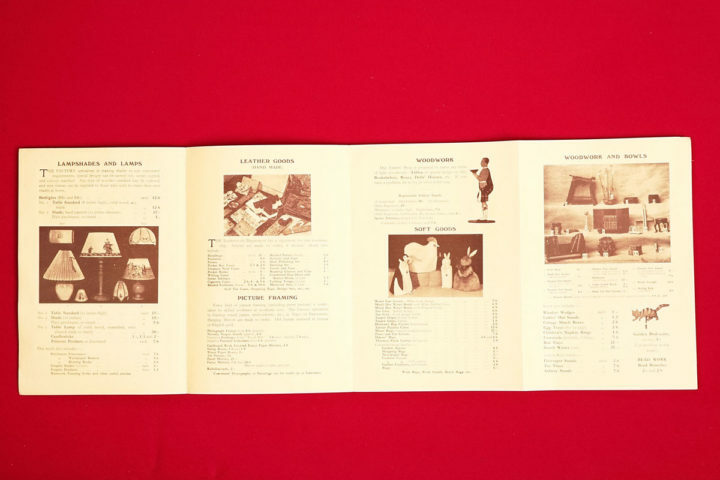 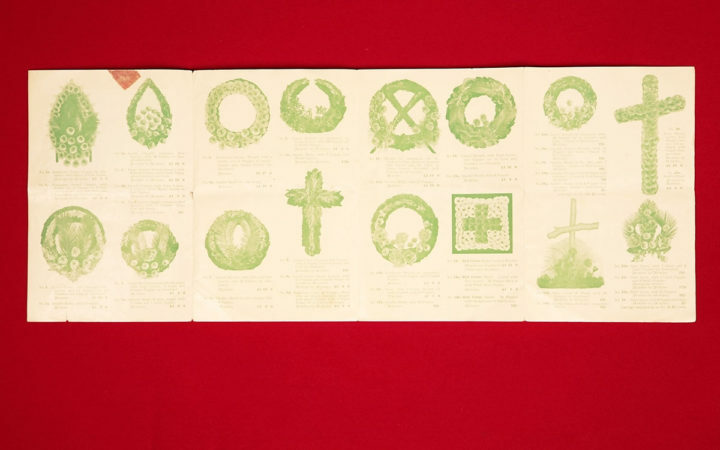 Lady Haig’s Poppy Factory catalogue of useful articles, gifts and toys c.1930 – internal. 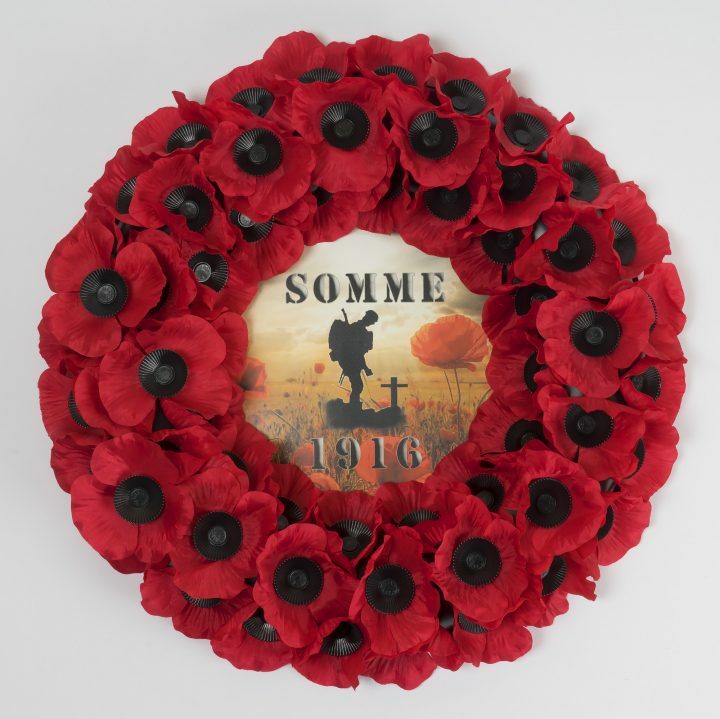 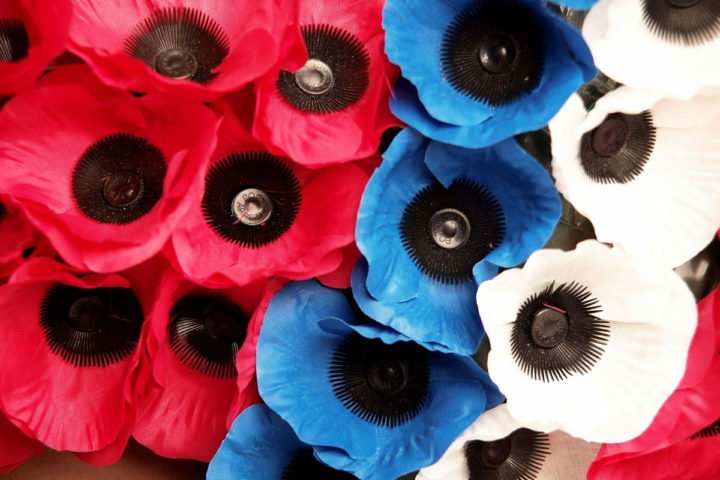 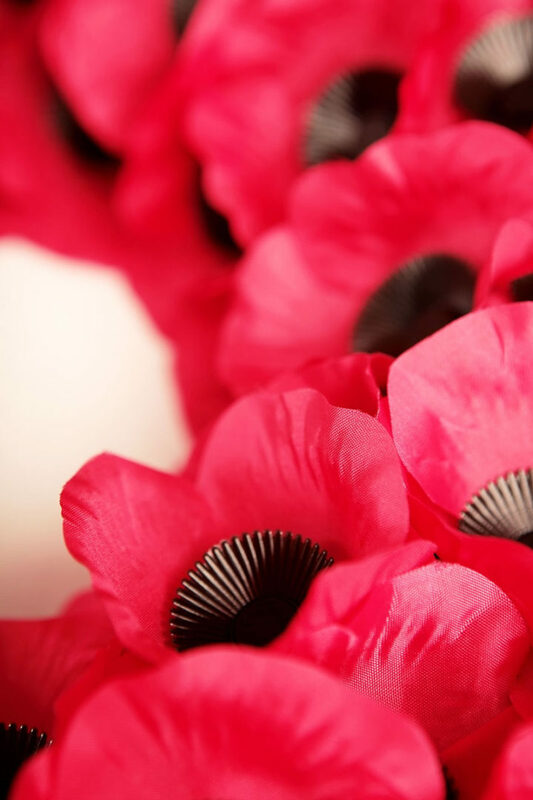 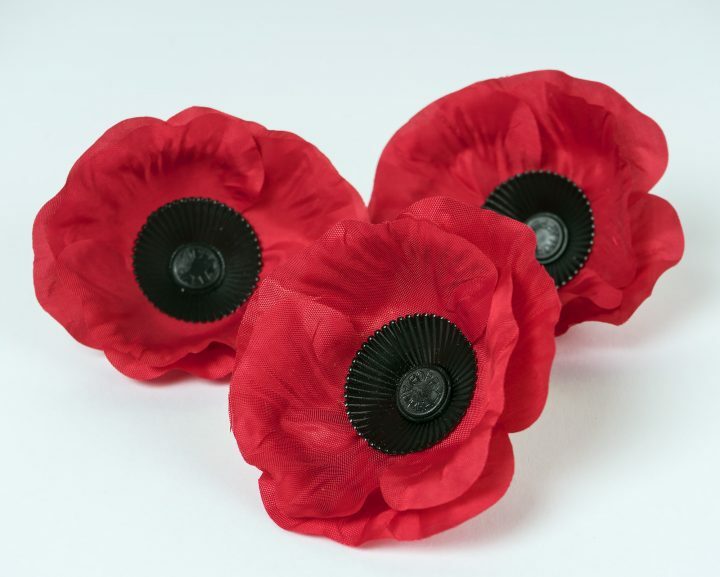 Close up of No.1 Scottish poppy wreath 2008. 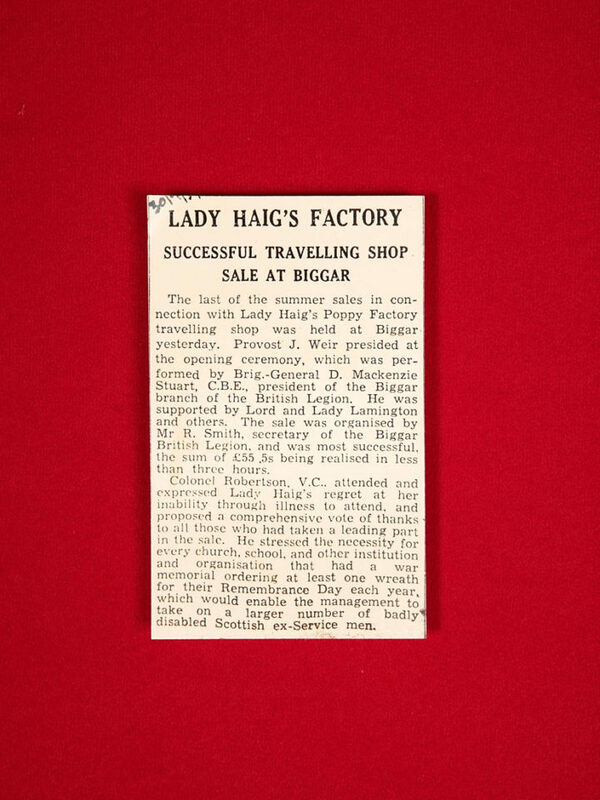 Newspaper article about the sale of goods from Lady Haig’s Poppy Factory in Biggar c.1935. 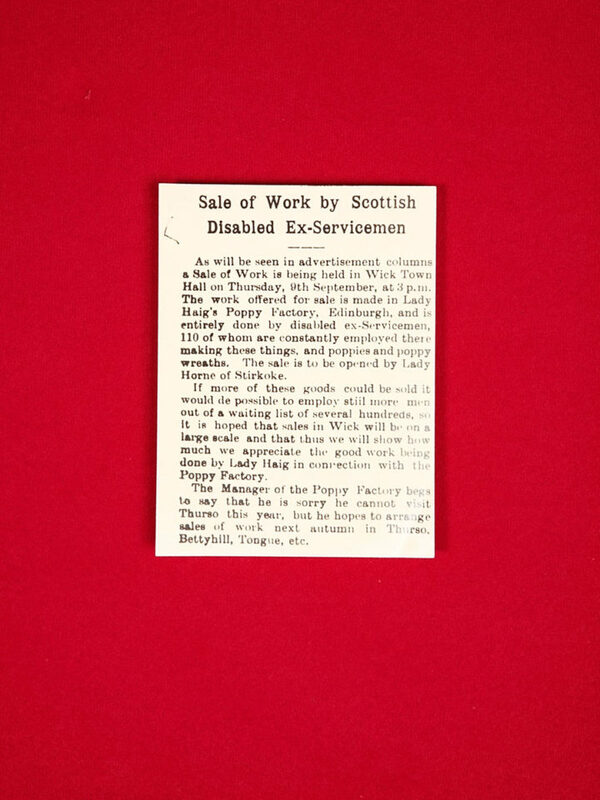 Newspaper article about the sale of goods from Lady Haig’s Poppy Factory in Huntly c.1936. 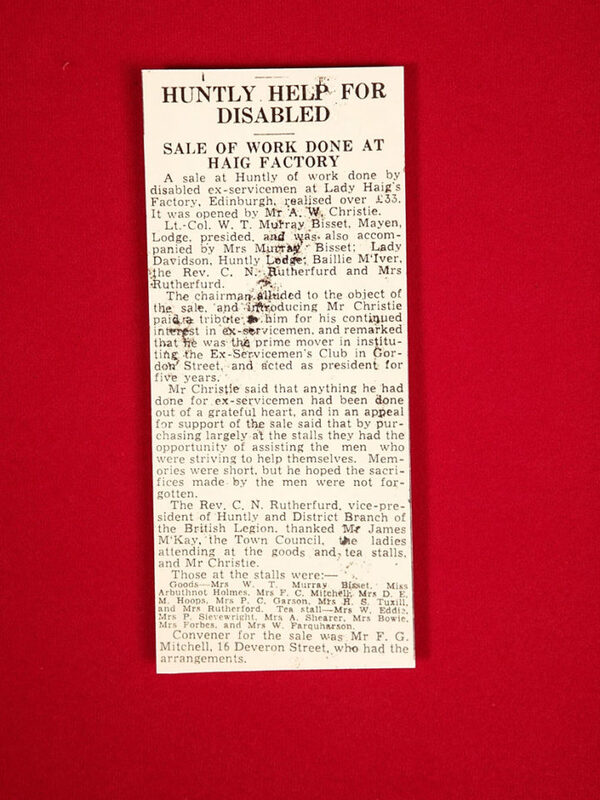 Newspaper article about the sale of goods from Lady Haig’s Poppy Factory in Wick c.1935. 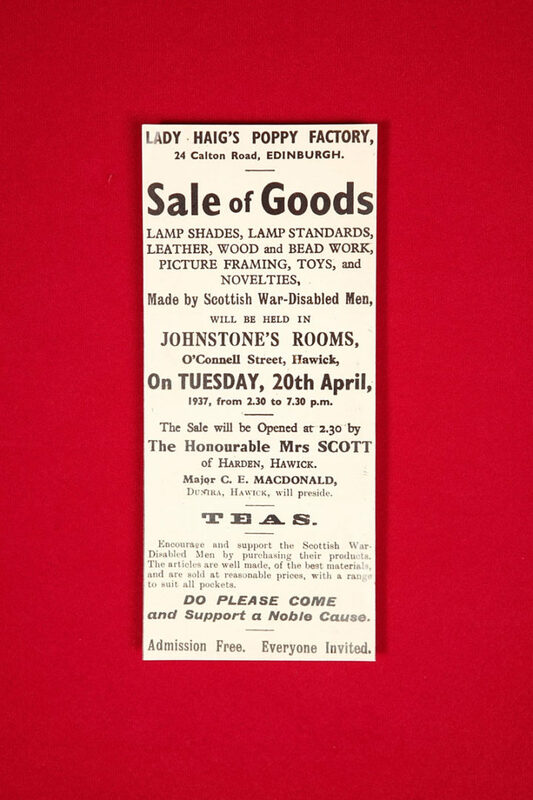 Advert for sale of goods in Blairgowrie from Lady Haig’s Poppy Factory c.1935. 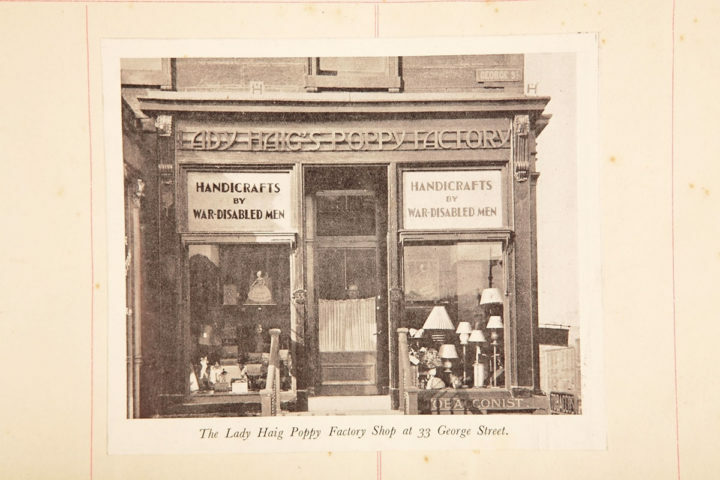 Advert for sale of goods from Lady Haig’s Poppy Factory in Hawick 1937. 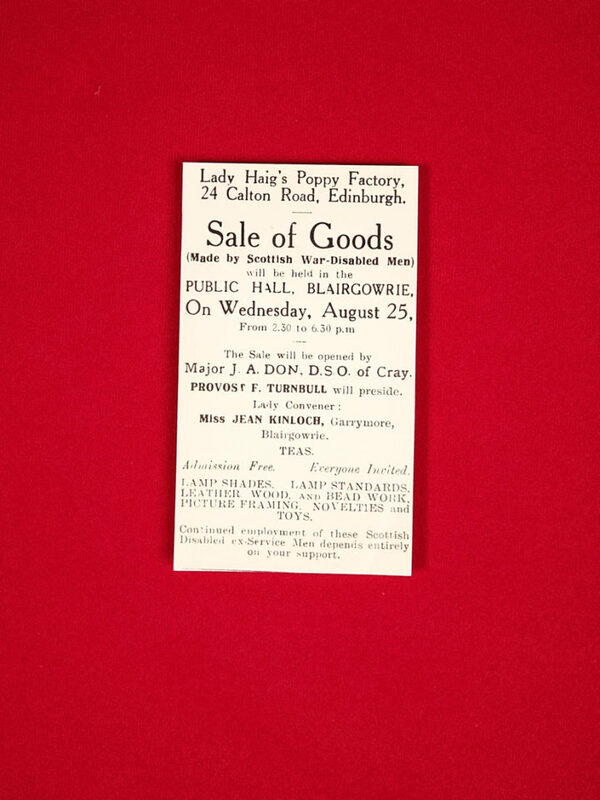 Advert for notice of sale of goods from Lady Haig’s Poppy Factory in Hawick 1937. 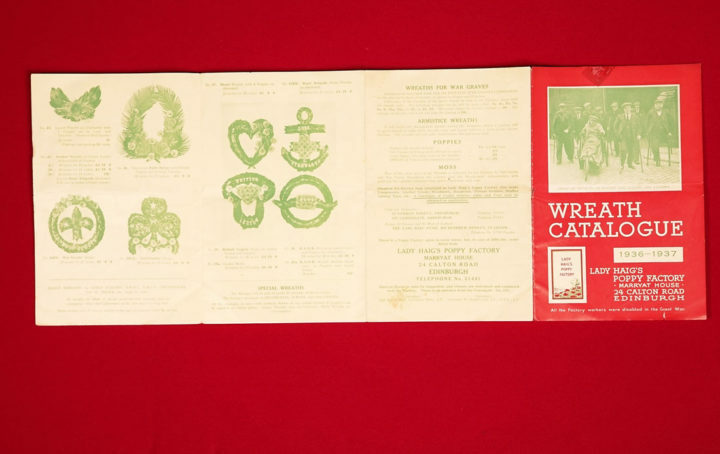 Advert for sale of goods from Lady Haig’s Poppy Factory for sale of goods in Keith 1937. 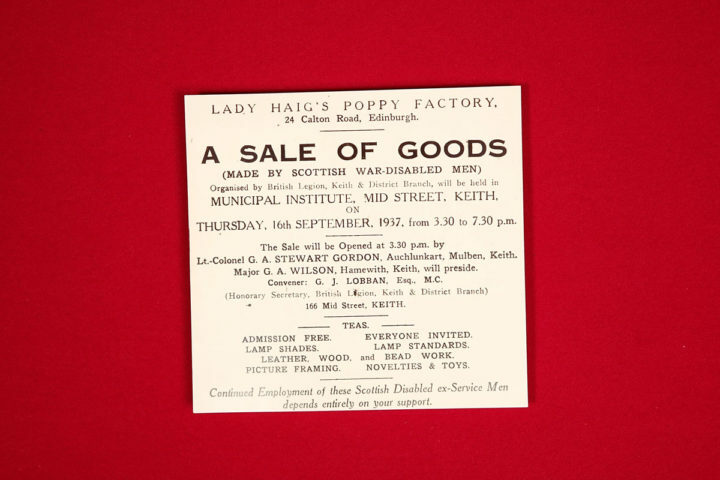 Advert for notice of sale of goods from Lady Haig’s Poppy Factory in Keith 1937. 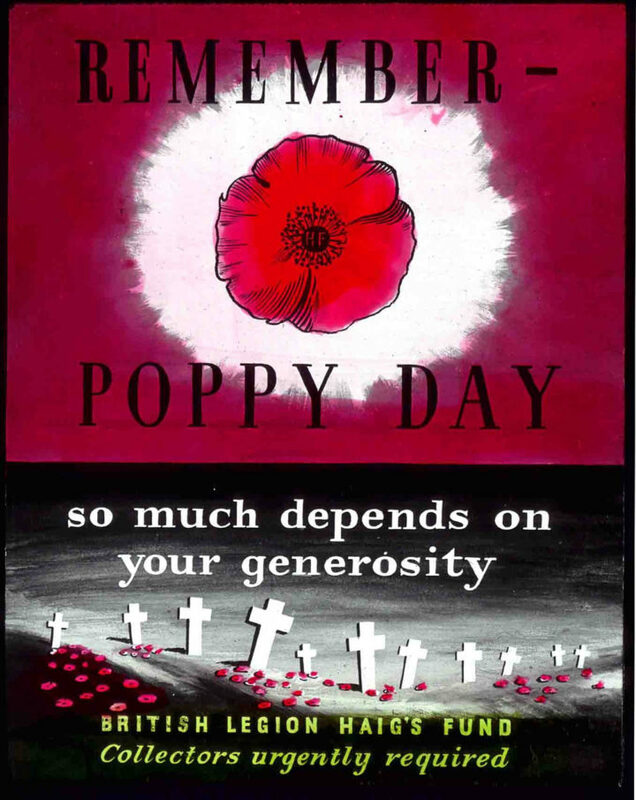 Advert for sale of goods from Lady Haig’s Poppy Factory c.1935. 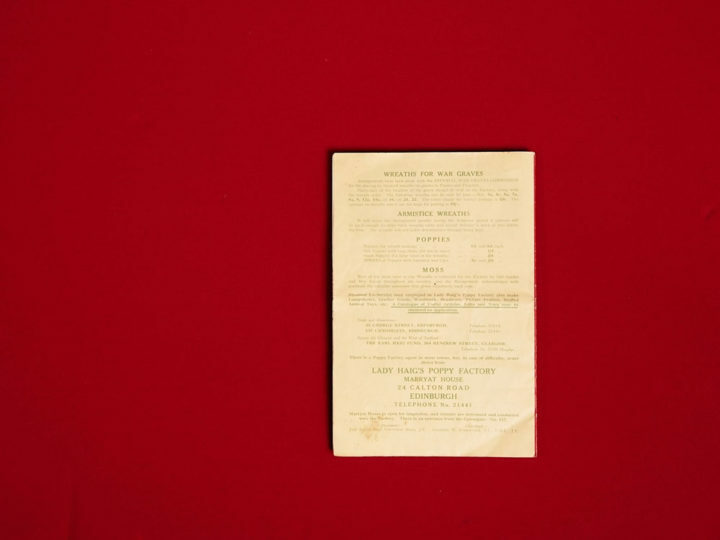 Advert for notice of sale of goods from Lady Haig’s Poppy Factory c.1935. 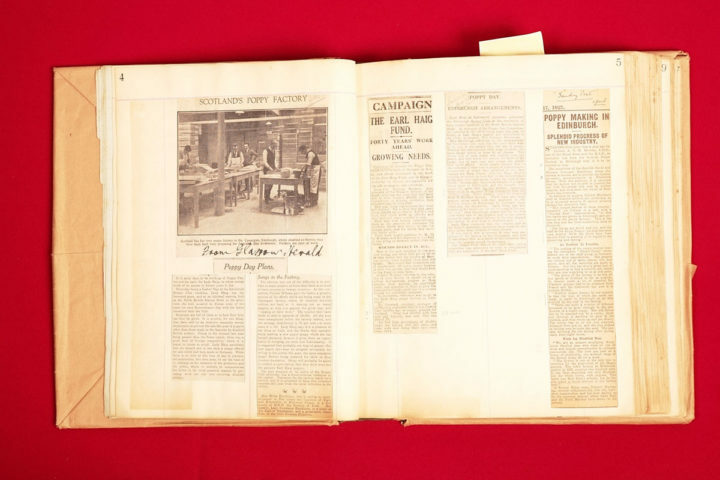 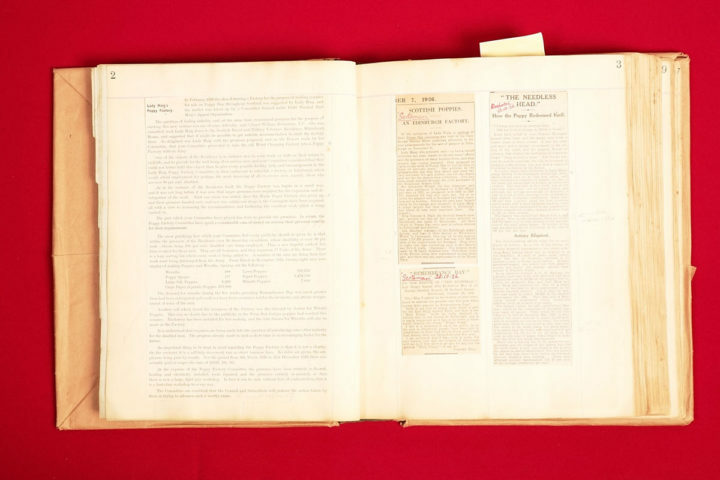 A selection of press cuttings about the opening of Lady Haig’s Poppy Factory 1926.